Delhi summers are finally here in full swing, which can only mean warm nights, long sunny days, and road trips! Nothing beats summer blues like a car full of friends soaking in the sun, singing aloud, and making memories at every turn and bend in the road. While road trips are about fun and frolicking, there are certain things that you need to keep in mind to ensure that you can make the most of your holiday. Road trips are not only about reaching your favourite destination but are as much about the drive too. So before your hit, the road with your gang, make sure you check the below-given points to avoid roadblocks once you are far far away from home. ‘Random plans are the best’ is a common belief these days. However, a road trip requires at least some amount of planning for things to go smooth. Once you have decided on the destination, check out the best route, the terrain, the time required, overnight pit stops if any, lodging arrangements, etc. If you are planning your road trip around the time of a major holiday or a long weekend, make sure you have your accommodation in place. You don’t want to reach your destination, only to find yourself stranded on the road due to overbooked hotels. It is imperative that you do a thorough weather forecast for your journey as well as for your destination. Make yourself aware of the temperature, impaired visibility due to rain, thunderstorms, dense fog, hail, etc. Not only will this ensure that you are safe on the road but will also help you pack correctly. No matter how much planning you put into the trip, unpredictability never leaves your side. And I feel this is what makes the road trip adventurous. So, you need to be equipped with safety measures in case a mishap occurs. Pack a first aid kit with basic medicines, handy tools like flashlights, jumper cables, etc. to ensure that small hurdles don’t turn into major problems. Another fun part of road trips is to eat and eat to your heart’s fill without having to worry about those calories. There is no fun in driving without munching! So pack sufficient power-packed snacks and drinks of your choice for the road. This will not only keep you happily full but also save time by reducing the stoppage duration. The most important but often ignored aspect of any road trip is your car. So before starting your journey, make sure that your vehicle is fully serviced, including tyre pressure, fuel tank, spare tyre, etc. Another ignored but essential aspect is the battery, which has already given me 2 horrible experiences in the past by failing me in the middle of a trip. Check for any issue that could stop your battery from performing on your memorable journey. 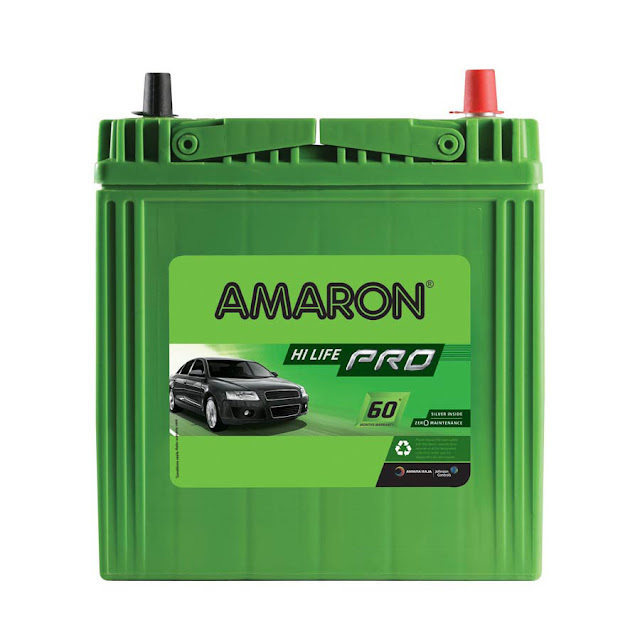 I rely on Amaron. Its zero-maintenance and corrosion resistance makes it the best car battery in my opinion. Also, don’t forget to the carry important documents such as your driving license, vehicle registration, car insurance, etc. Additionally, wear your seat belts and respect the speed limit. So plan a trip soon, embrace the road and the experiences that come with it, and make lasting memories with your loved ones. Don’t forget to be safe, so that these treasured memories can last long, really long. awesome tips for making us summer memories last!